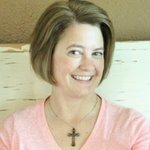 Introducing our guest expert-blogger, Angela Agranoff of https://myrefreshedsoul.com and https://theunclutterangel.com. Angela is sharing from her wealth of knowledge and passion for this part of our healthy living…using TAPPING & EFT for anxiety relief! Angela is a wife, mother of three, writer and EFT practitioner. She blogs about health and home organization on her blogs, My Refreshed Soul and The Unclutter Angel. She presents EFT on both blogs to help support the emotional side of the two topics. You can also find her books and journals on Amazon. Angela loves connecting with others through her blogs, books, social media and speaking to groups. Have you ever felt paralyzed by doubt or fear? Is your anxiety triggered by situations that feel overwhelming or stressful? Fear may tell us that we are feeling uncertainty, worry about not having control, or loss of control. Fear isn’t necessarily a negative feeling; it can have many useful purposes. But it can also cause us to get stuck or feel anxious. Some circumstances in our lives can bring on feelings of uncertainty. How we choose to handle these circumstances can make a big difference in how we operate in our everyday lives. This year, for the first time, I experienced what felt like a panic attack. I was in Denver International Airport, a super busy airport with an insane TSA operation. The feeling of so many people, the noise, long lines, waiting to catch a plane. . . I was eventually in tears and felt like I was emotionally shutting down. I took deep breaths to get through the situation, and recovered by the time we got through security. The rest of our trip was fine. I felt my environment was out of control and filled lots of uncertainty. The good news is, I am self aware of this, and working with tools that can help me with these situations. We know that these situations can arise at any time and anywhere. Do you have situations that cause feelings of anxiety in you? This list is not judgment. I understand it because I have done some of these to dull the pain. But when we have newer and better option, we can use them. I wish my first thought when I feel anxious was always to pray. Jesus can comfort instantly if we listen and allow Him to. There are amazing tools that can assist us when working through anxiety. Finding comfort in our faith, and allowing God to carry the burden of our fear and anxiety, can be the greatest of comfort. God cannot only change our thoughts in an instant; He can change the overwhelming and defeating patterns forever IF we allow it. Being consistent and surrendering every time we get these feelings of anxiety can give us a break through. God can also reveal to us why we are feeling loss of control, why we feel helpless, why we feel fear. Just ask Him for clarity. These feelings can tell us something, and God can guide the way. What can God teach us and show us about ourselves through our anxiety? Prayer is a powerful tool to help with anxiety! It can be used anytime, anywhere, just like the next tool we will discuss, EFT. ﻿This non-evasive tool is a calming way to help with anxiety. It can be used with prayer, scripts, ongoing thoughts or mantras. EFT, the emotional freedom technique, is like psychological acupressure. It can help with a number of emotional and physical issues we have. Eastern medicine describes how emotions and traumas get stuck in our body’s system. Using tapping can help to release those memories and emotions that are “stuck” in our thoughts and nervous system. EFT doesn’t “cure” things, but it can help to relieve the stress of anxiety in your body. Even though tapping uses practices adopted from Eastern medicine, it works well adding our faith and dependence on God. He made our bodies so extraordinary and complex and tapping is another amazing tool we can use to tap into what our heavenly Father has gifted us. Please do not substitute tapping for any medical treatment or counseling that you are receiving. Talk with your doctor or counselor to discuss if it can be used in conjunction with your treatment. For a visual on how to end anxiety and find relief using EFT and Tapping, watch this helpful video! Tapping for anxiety can implemented during an anxious feeling or stressful situation, you can also use EFT as a preventive measure. I will include two scripts below that will help you with both situations. I like to tap about situations that stress me out, especially if I am thinking about what is coming up in the near future that may make me feel anxious. Then as I face the situation, I already have the calming words in my mind and my body is already prepared. I have also done tapping when I am in the middle of a situation, benefiting from the calming tap and verbiage I use to walk myself through the situation and change my negative thoughts. When we are feeling anxiety we can choose to put our focus on what we do have control over, and not what we don’t have control over. Tapping can help us to gain this clarity and feel peace again. Learn the different tapping points and their location as well as how to rate the level of your emotions before you start tapping. Set-up Statement Example: Even though I am feeling anxious and upset right now I deeply and completely love and accept myself. The set-up statement will be repeated three times and can be the same or worded different each time. You will say this three times while you are tapping on your karate chop point. Rest easy that this relaxing and effective tool can be done anywhere at anytime. They key is to be consistent and patient with yourself. You are working on layers of memories and events. Like an onion, this may take time to peel away the layers to get to the core of what is causing your anxiety. It may not get resolved after one round of tapping, and that’s perfectly normal. It may not be the first thing you think of when you are in a stressful situation, but the more you tap with intent, the more natural it will come as a solution. - Even though I am feeling anxious and upset right now, I deeply and completely love and accept myself right now. - Even though I am frustrated that I feel this way, I deeply and completely love and accept who I am right now. - Even though I am mad at myself for getting like this, I deeply and completely love and accept who I am right now. I don’t understand why I am feeling this way. This script is great for using after you have gone through an anxious situation, or if you know something will be coming up for you that could trigger feelings of anxiety. As you tap you may have memories or thoughts pop up that will give you a window into what may be causing your anxiety. These memories or ideas can be written in a notebook to keep track of your progress over time. You can also use these to peel away at deeper issues that have caused you stress and anxiety, learning how you can better cope with these situations using EFT and tapping. Before the next tapping round, think of a situation that gives you anxiety. Get a clear picture in your mind, feeling the situation as if you are there. Why do I feel I need to hold onto past experiences that aren’t serving me? What is causing this feeling of fear and losing control? Who would I be without trying to control everything? I may be open to more opportunities in my life if my anxiety wasn’t pushing things away. Focus again about the situation you were picturing for this last tapping round. Use the emotional scale after each round of tapping. If you are feeling more at peace with your thoughts, awesome! If you feel you could lower your anxious feelings more, do another tapping round. You can change the words in the script to fit your situation and make it more personal. Keep tapping to help you to lower number your on the scale. Consistently tapping for future stressful situations, or during anxious times, you will see progress and be amazed at how your mind can make tiny shift and see things in a new light. Using EFT, along with trusting what God’s plans are for you, you can work to end your anxiety and create a routine to deal with stress, and finally finding the relief you are seeking! …did this article help you as you explore FRESH new ways to aide your healing from anxiety? We are so excited to partner with some amazing new experts on this blog - to bring you only the best in healthy-living inspiration and resources! Let us know what you thought of this and Coach Angela in the comments below!